It is awesome tool. it is very easy to schedules meeting with this . we can integrate its plugin with out outlook and can schedule meeting in one click. we can .we can record the current meeting going on which is very good option. it provide screen sharing option on single or extended desktops as well. Voice quality is good as it consume very less bandwidth. We can chat with the meeting participants to everyone and individual as well.lightweight software.integrated audio, video and content sharing is awesome. it can be installed on multiple platforms i.e. mobile, pc tablet, mac etc. there is limitation like if we have large number of user wanted to join the webex meeting room then it will restrict us and also when we have a big team and persons start joining the meeting then initially we get disturbances from software and face difficulties in hearing them clearly but yes after some time it will became smooth.. Lack of emoticons and smileys. it is little more pricey as compared to others like slack or zoom. and license renewal as is costlier. i can schedule my meeting in One click using this. 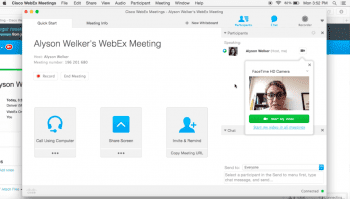 We use WebEx daily for meetings with potential customers, vendors, and for support. It is awesome tool. it is very easy to schedules meeting with this . we can integrate its plugin with out outlook and can schedule meeting in one click. .we can record the current meeting going on which is very good option. it provide screen sharing option on single or extended desktops as well. Voice quality is good as it consume very less bandwidth. We can chat with the meeting participants to everyone and individual as well.lightweight software.integrated audio, video and content sharing is awesome. it can be installed on multiple platforms i.e. mobile, pc tablet, mac etc. there is limitation like if we have large number of user wanted to join the webex meeting room then it will restrict us and also when we have a big team and persons start joining the meeting then initially we get disturbances from software and face difficulties in hearing them clearly but yes after some time it will became smooth.. Lack of emoticons and smileys. it is little more pricey as compared to others like slack or zoom. and license renewal as is costlier. i can schedule my meeting in One click using this. We use WebEx daily for meetings with potential customers, vendors, and for support. You can connect using phone or PC, everywhere you are. Good to share desktop and also give control of you desktop to other users (for example in case of support odd customers demo). Non limits in participants. Good quality in video and voice also with low bandwidth. A lot of good features more, a professional tools. You have to install a plugin, for exaple for Chrome web browser. Recently they announced a version who work into the browser without plugin. You can connect using phone or PC, everywhere you are. Good to share desktop and also give control of you desktop to other users (for example in case of support odd customers demo). Non limits in participants. Good quality in video and voice also with low bandwidth. A lot of good features more, a professional tools. You have to install a plugin, for exaple for Chrome web browser. Recently they announced a version who work into the browser without plugin. The software is easy to use. There is usually a link embedded in the emails directing our audience straight into our meetings. We also like that there’s a button once inside the meeting to have the system call you for the audio portion of the meeting. The response time is usually very crisp and works very well. The only negative is when a computer joins WebEx for the first time, it has to download the plug in for the browser . Sometimes this takes a few minutes and the participant ends up being a little late to the meeting. It’s not really the fault of WebEx but just something to be mindful of. We save money and time by not having to travel and meet face to face. WebEx also allows us to meet frequently so our entire team is always on the same page. The software is easy to use. There is usually a link embedded in the emails directing our audience straight into our meetings. We also like that there’s a button once inside the meeting to have the system call you for the audio portion of the meeting. The response time is usually very crisp and works very well.
. Sometimes this takes a few minutes and the participant ends up being a little late to the meeting. It’s not really the fault of WebEx but just something to be mindful of. We save money and time by not having to travel and meet face to face. WebEx also allows us to meet frequently so our entire team is always on the same page. Easy to use and anyone can leverage the tool. Intuitive functionality and features to allow for a meeting host and attendees to fully leverage the tool and it’s features. Special plugins and installs are required to attend a meeting or watch a recorded session. Would prefer to not have to install a special player to watch recordings. Easy to use and anyone can leverage the tool. Intuitive functionality and features to allow for a meeting host and attendees to fully leverage the tool and it’s features. Special plugins and installs are required to attend a meeting or watch a recorded session. Would prefer to not have to install a special player to watch recordings. Cisco has proven to be a leader in the web conferencing space. 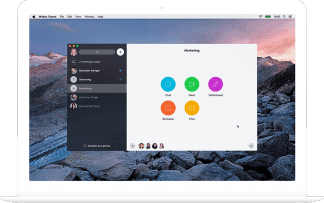 WebEx continues to provide a enterprise level conferencing solution and set the pace for all others to follow. Cisco’s licensing costs are very expensive. The features are not as customizable as I would like. Initial setup/configuration may require a solutions integrator. Founded in 1984 by a small group of computer scientists from Stanford University, Cisco is one of the world leaders in providing IP-based software and hardware solutions. Their hardware ranges from consumer-level products to commercial network routers and switches, and their software helps companies large and small. Premium 25, $49/mo/host, $39/mo/host annual: High-definition video; VoIP/Internet, Phone call-in, Add Call Me/Toll-free (US, CAN, Western EU); share Desktop, Whiteboard, Documents, Applications, Remote Control; User Guides, Help Articles, FAQs, Live 24/7 Support; 1 GB storage, up to 9 host licenses. iOS, Android, BlackBerry, Windows Phone 8, Web browser with no download, mobile web browser with no download. Basic, Free: Up to 3 people per meeting; standard-quality video; VoIP/Internet audio only; share desktop, whiteboard, documents; User Guides, Help Articles, and FAQs; 25MB storage, 1 host license. 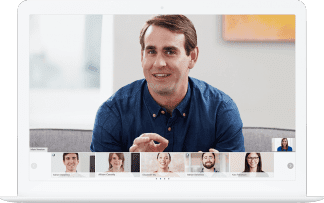 Premium, $24/mo, $19/mo annual: High-definition video; VoIP/Internet, Phone call-in, Add Call Me/Toll-free (US, CAN, Western EU); Share Desktop, Whiteboard, Documents, Applications, Remote Control; User Guides, Help Articles, FAQs, Live 24/7 Support; 1 GB storage; 1 host license. Premium 100, $89/mo/license, $69/mo/license annual: High-definition video; VoIP/Internet, Phone call-in, Add Call Me/Toll-free (US, CAN, Western EU); Share Desktop, Whiteboard, Documents, Applications, Remote Control; User Guides, Help Articles, FAQs, Live 24/7 Support; 1 GB storage, up to 9 host licenses. Call Me 500, $45/mo: 500 minutes ($0.09/minute/attendee), toll-free; audio only; minutes do not roll over. Call Me 1200, $99/mo: 1,2000 minutes, ($0.0825/minute/attendee) toll-free; audio only; minutes do not roll over. Call Me 3000, $225/mo: 3,000 minutes ($0.075/minute/attendee) toll-free; audio only; minutes do not roll over. 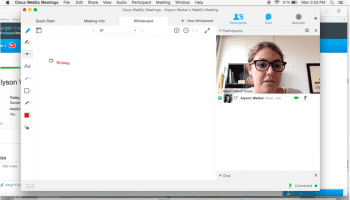 What Do You Think of WebEx?